Ever wondered how rope was made? 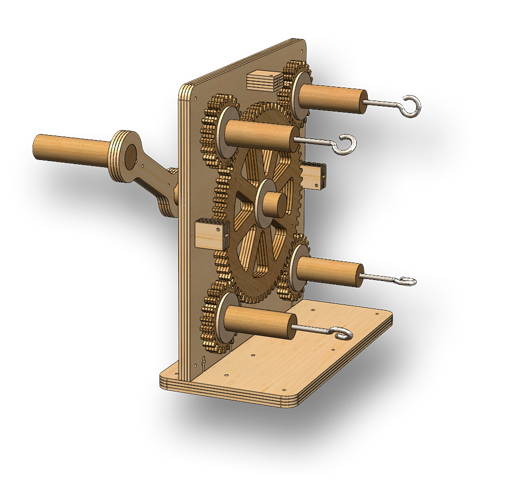 Now you can find out for yourself with this rope-making machine! Learn how to make rope from twine, string, or yarn. You can make plain or hawser-laid rope from three strands or shroud-laid rope from four strands. 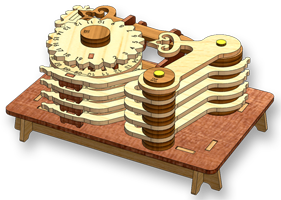 The gears and frame are composed of multiple sheets that you glue together to build up each sub-assembly. We use up to 4 sheets of 3-layer European Birch hardwood to make up each assembly. 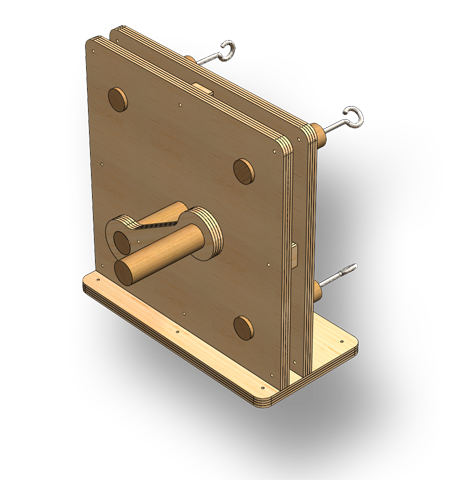 The shafts are 1″ diameter hardwood and the hooks are heavy gauge steel. 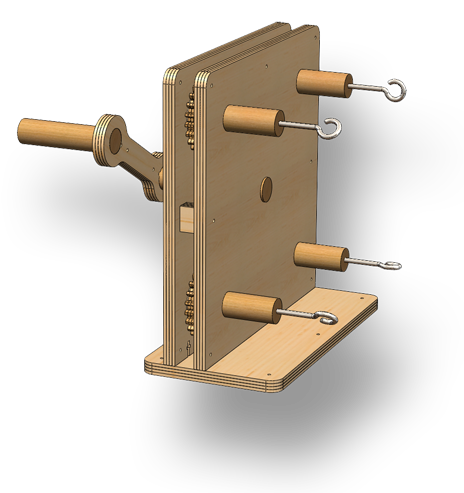 It is best assembled using clamps, a brayer, and glue. This item is made to order, so expect several weeks' lead time.